Need a concrete contractor, supplier or designer? Find concrete pouring companies and supplies along with decorative concrete contractors here. 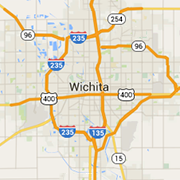 Providing the Wichita area with commercial and residential concrete services. We are experts in all concrete jobs from sidewalks to basements and everything in between.